The technology for storing digital information has advanced leaps and bounds in the last 20 years. First there was floppy disk, then the CD-ROM, which was followed by the USB and the external hard drive. Now, the latest and greatest in information storage is cloud computing, also known in many cases as software as a service (SaaS). Cloud computing isn’t simply a tool for information storage and backup. There are hundreds of programs and software available through the Internet that use this technology. You’re probably familiar with some of them—Google Documents and QuickBooks Online, for instance. 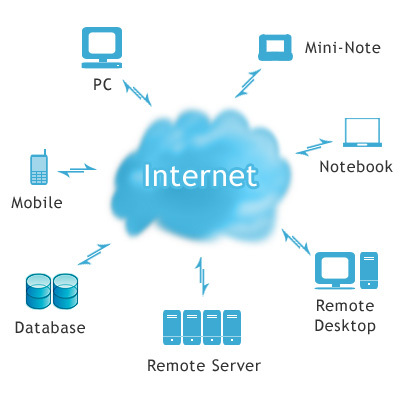 The idea is that through your computer you can access software, tools or other services that are stored on an off-site server. You can then save the files that you create to that same server. Cost. Generally, cloud computing is cheaper than other software because it doesn’t require costly materials such as discs and manuals. And because the provider takes on the responsibility of storage and upgrades, there’s no need for a small business to hire an IT specialist for that aspect of the business. Availability. You don’t have to be connected to a server locally to access the files you’ve created. In other words, you could create a document in the office on your desktop and edit the document on your train ride home on your smart phone. For example, an interior designer collaborating with an architect from the other side of the country could use cloud computing to ensure both can access the documents they need through a website. Security. Your documents should be safe so long as you don’t share your password with others. Are you sharing your password with everyone in the office? “Don’t write your password down and label it ‘my password,’” says Ray. Loss. There is a chance that the software company storing your documents can lose them through a server crash or some other disaster. Be sure to save backups of your files from time to time to a hard drive in your office. Connectivity. If you don’t have Internet access you won’t be able to access your software. That means you’ll need to have a backup plan in case you lose your Web connection. 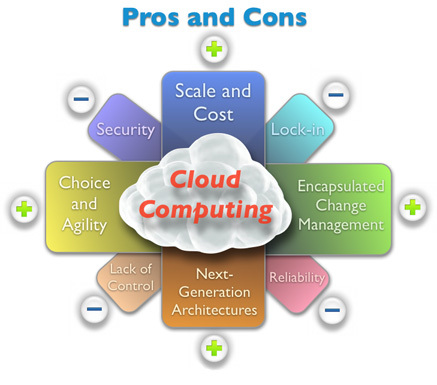 So how does a small business owner go about choosing a cloud computing provider? It mostly depends on which programs you need. But before using any service, find out if the company has support in case of emergency. Also ask how much memory the software provider gives for free before space on the server will begin to cost money.